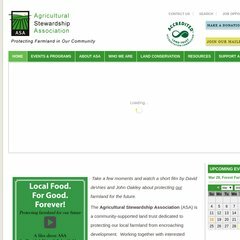 www.Agstewardship.org - Welcome to ASA! Topics: What We Do, Lands We've Protected, Who We Are, Supporters, and Board Of Directors. earthshare.org EarthShare: One Environment. One Simple Way to Care for It. ns2.accountsupport.com, and ns1.accountsupport.com are its DNS Nameservers. It is hosted by Ionet Inc (District Of Columbia, Washington,) using Nginx web server. The programming language environment is PHP/5.2.17.